Slip Fall Accident Attorney Denver - Bell & Pollock P.C. When negligence causes slip and falls, the Denver personal injury attorneys at Bell & Pollock will be here for injured people, ready to help them obtain the compensation they deserve. Each year, more than 1 million people in the U.S. seek emergency medical care for slip and fall injuries.1 In many of these cases, people end up with lasting pain and longer term injuries that can impact their ability to work, as well as their overall quality of life. Get on the path to justice and financial recovery. Failing to post signs warning people of slip and fall hazards. 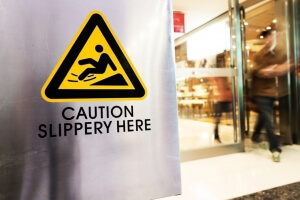 Issues like poor lighting or wet weather conditions can end up increasing the risk for – and intensifying the impacts of – slip and fall accidents. Another party, such as a cleaning company or a flooring manufacturer. Although slip and fall accidents can result in any number of injuries, including strains and sprains, bone fractures are the most severe slip and fall injuries. About 5 percent of slip and fall victims sustain bone fractures. Each year, flooring and floor materials play a role in causing about 2 million slip and fall accidents in the U.S.
Slip and falls are a leading cause of lost work days and workers’ compensation claims in the U.S. While about half of all accidental deaths that occur at home are the result of falls, many of these involve falls on the same level (as opposed to from an elevation). If you or someone you love has been hurt in a slip and fall accident, contact the Denver personal injury attorneys at Bell & Pollock, P.C. to learn more about your options for compensation. At Bell & Pollock, our lawyers are proud to be champions of the people, providing victims of negligence with superior legal representation to help them maximize their financial recovery. To find out more about how we can help you, call us at (303) 795-5900 or email our firm using the contact form on this page. By contacting us and attending a free initial consultation, you can get clear, honest legal advice about your case and options from an experienced attorney.